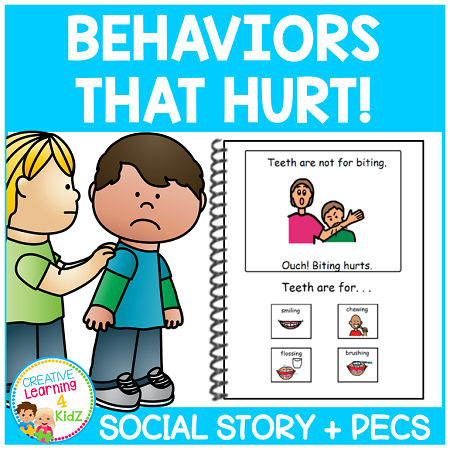 Social Story Behaviors That Hurt! 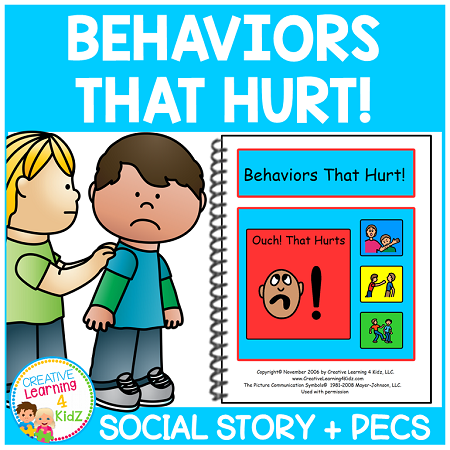 Great social storybook for teaching children that biting, hitting, scratching, pushing, pinching, and kicking hurts others. Includes a sheet of behavior PECS: no biting, no hitting, no scratching, no pinching, no pushing, and no kicking. 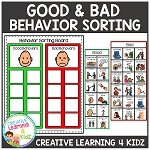 They are 3 x 3 and great to visually remind your child of how not to act. 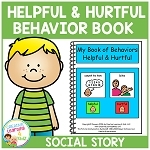 Each page of the book targets a different behavior. 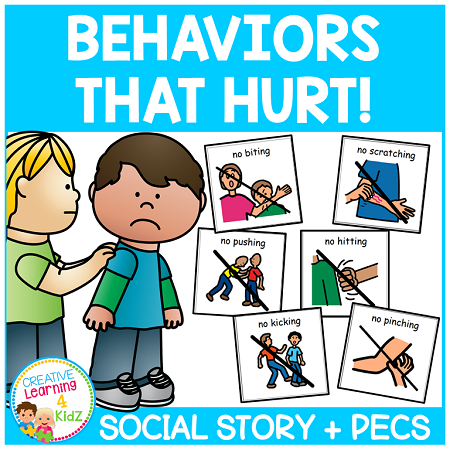 Example: Hands are not for pushing. Hands are for. . . Page 8 reviews what you should never do & why. Page 9 is about ways to let your feelings out. Book is 8 1/2 x 11 and has 9 pages. I recommended you print this book on thick 110lb card stock and laminate with 5 mil. lamination then coil bind. 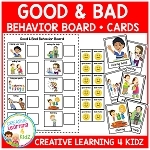 You can also print on thick card stock and slip the pages into sheet protectors and insert into a notebook.